On Tuesday, the 3rd of November, 3rd and 4th class boys and girls played in the FAI Futsal Indoor Soccer tournament in Gormanstown. In the first round we had to play 4 other teams. The boys were undefeated in our group. The girls were also undefeated in their group. David coached the boys’ team and Mr. Brennan coached the girls. George Heather was the top goal scorer from our school at the tournament. Johnny Cahalan and Eoin McDermott both played in goal, and Aoife Rooney played in goal for the girls. Johnny made an amazing save in our closest match which ended 3-2. In the semi finals I scored a goal and we won. The girls also won their semi final. Curragha had two teams in the final! The finals were very exciting and close. The boys lost 1-0 and the girls lost on penalties! I had a great day in Gormanston. I’m glad we made it to the final even though we didn’t win! Our new theme in Ms. Ronan's room is Buildings so first and second class had a special visitor from RTE’s ‘Room to Improve’. Her name is Patricia Power.She talked to us about how to build a house. The first thing she told us is that you need planning permission, so you can’t just go out and build a house anywhere you want. The second thing is you need an architect to design your house. She told how a house has a foundation to make it stand up, then you put in the floor, the walls, the roof and then the windows and doors. Then you finish the inside of the house. She brought in all the clothes that she wears, like the boots, hi-vis jacket and helmet and we all got to try them on! This year, we have once again kindly donated to Team Hope by giving thoughtful and kind gifts to kids our age in need. These gifts are wrapped with festive Christmas wrapping paper around a shoebox. Inside, we put things such as little toys to play with, hygiene items like toothbrushes or toothpaste, small pieces of clothing such as socks, hats or gloves, sweets, school items and a few more interesting and fun things. The boxes go from Ireland, all the way to Africa or Eastern Europe. The shoeboxes are given in three age groups, ten to fourteen, two to four and five to nine year olds. Team Hope are planning to give the shoeboxes to orphans, children in hospital, street children , poor families, victims of war and other children. Even if there is only one thing in the shoebox, it will be very much appreciated to those who get them…. On the 11th of November 2015, we were all gathered in the hall to receive the Irish flag from the Irish army.It all started off with clapping and cheering, as the two soldiers walked into the hall. 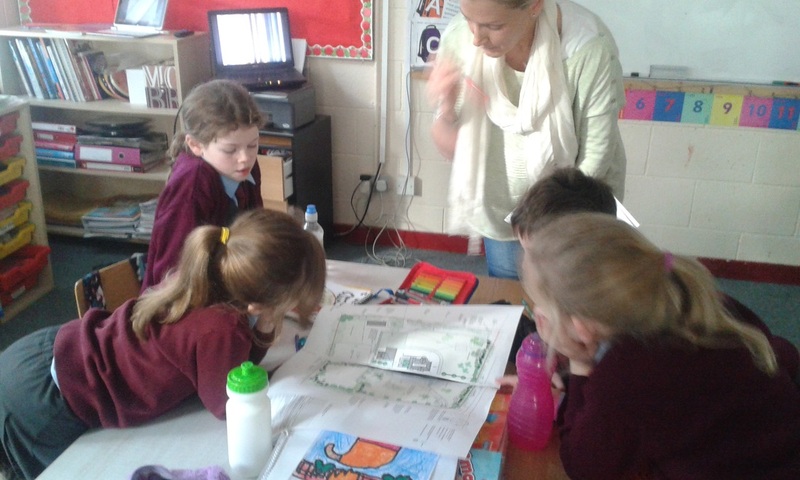 Then everything went quiet and they asked questions about the 1916 Easter Rising. When they were answered , he made us promise to keep the flag safe.When we had done that, Jamie Fewer from fifth class and the soldier read out the 1916 Proclamation. Anna Rose Madden and Jamie Egan from Senior Infants. close my eyes" by Jim Papoulis which they had performed at the Navan Choral Festival.It was lovely. As the soldiers said goodbye the room was filled with a cacophony on claps and cheers.It was a great event. 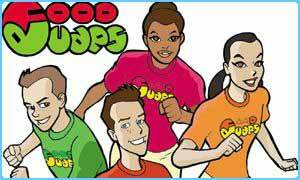 This month our school has started a new programme called Food Dudes. Each day child in our class eats a bag of fruit and vegetables. We get a sticker when we try or have a good taste of our healthy foods. Every 1 or 2 days we get a prize for eating all our fruit and veg. We also get to watch a DVD called The Food Dudes who fight the Junk Punks ( the Junk Punks are a group of people who try to take all our healthy foods away for them to destroy). So far we have eaten carrots, cucumber, mange tout, peppers, oranges, apples, grapes and bananas. I loved trying everything but my favourite was apple and mange tout. Our class loved getting our Food Dude prizes which included a red and green lunch box, a beaker, a pencil and a pedometer that measures how many steps you take each day. I think it is a really good idea to teach kids to eat healthy foods because it helps to keep them fit and strong. I hope we get to do it again next year!